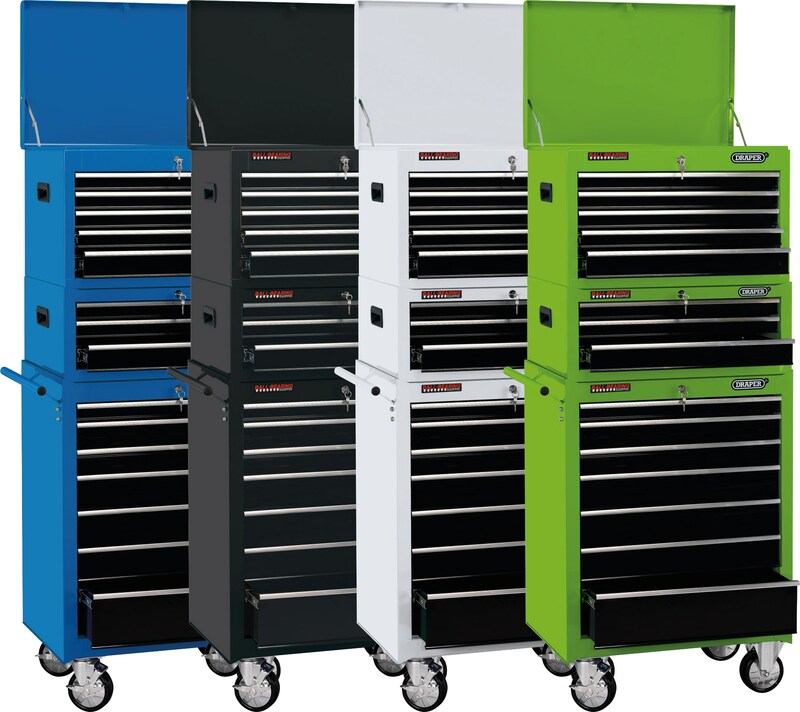 Draper Tools has launched a new range of robust sheet steel modular storage cabinets and chests. The 26 inch storage combinations comprise a five drawer tool chest, a three drawer intermediate chest and a seven drawer roller cabinet, all made from sheet steel with a protective powder coated finish, secure locking system and ball bearing runners on the drawers. The base cabinets are fitted with braked swivelling castors and a sturdy handle, to ensure easy manoeuvrability around the garage or workshop. The cabinets come in a choice of blue, black, white or green.